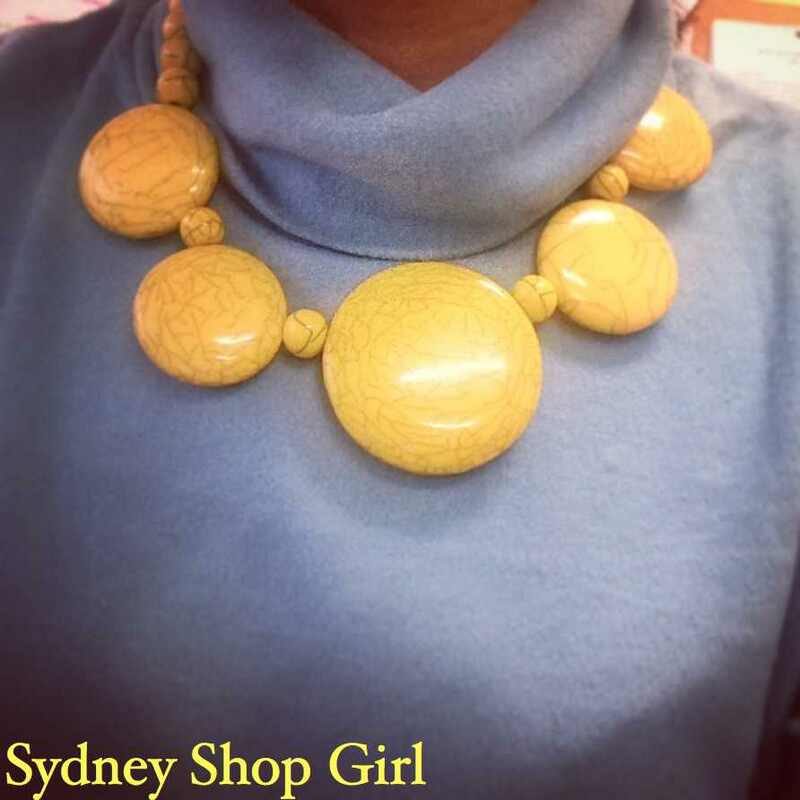 Sydney Shop Girl: The Big Chill. A Remedy For My Insomnia. I don't think there's a corner of the country that's escaped the cold chill that's suddenly come upon us. My Instragram feed today has been full of photos of friends rugged up in thick jackets, jumpers and scarves. They've stepped out for the day in long boots and lunched on bowls of soup with a slice of buttered toast or two. The big chill has been kind to the snow fields with bumper dumps of powder over the ski runs overnight. Just in time for the school holidays. We weren't blessed with snow in the suburbs but it was pretty wild out west today. Fallen branches littered the streets and there were power outages in the Blue Mountains. 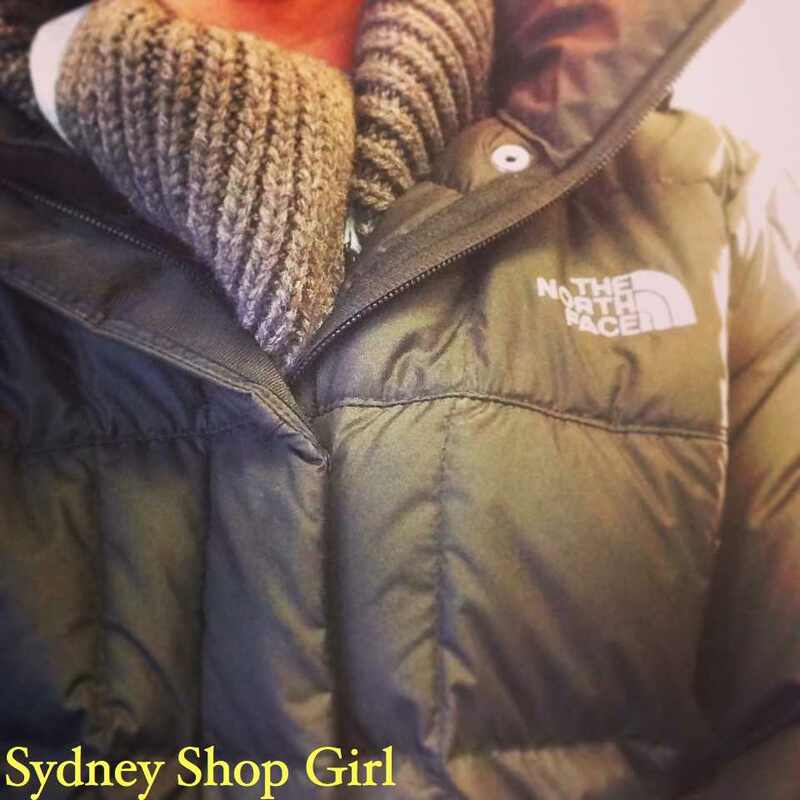 My little adventure for the day involved putting my North Face puffer jacket to the test as I trekked across the park in search of some coffee. It was a toasty warm walk and amazingly, I managed to button my coat quite comfortably over my chunky cable knit jumper without looking like a black puffer fish on stilts. It's the little things. 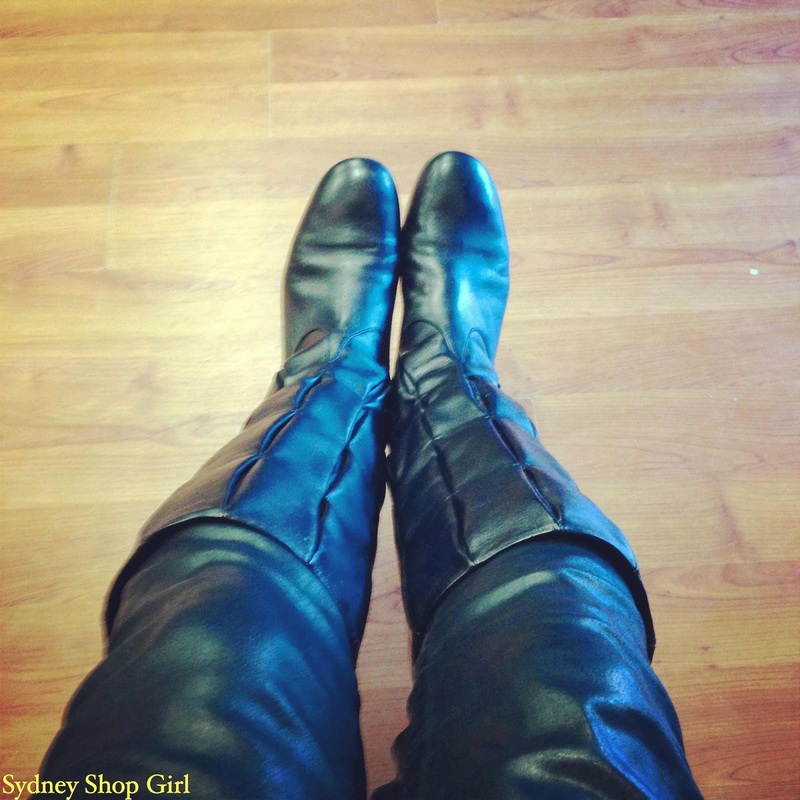 Boots - Bally, pleather jeans - AG. The extreme weather conditions called for extreme measures to keep my legs warm. Hence this pleather and leather combination. I'm really happy with my Adriano Goldschmied coated jeans, actually. Well worth the money. They're a great cut and they haven't stretched out of shape despite my wearing them all the time. The finish on the jeans has also held up well to my accident prone lifestyle. Not to mention how incredibly comfortable they are to boot. Love a cup of tea before dinner in this cooler weather but suffering dreadfully from insomnia secondary to your extra cuppa? 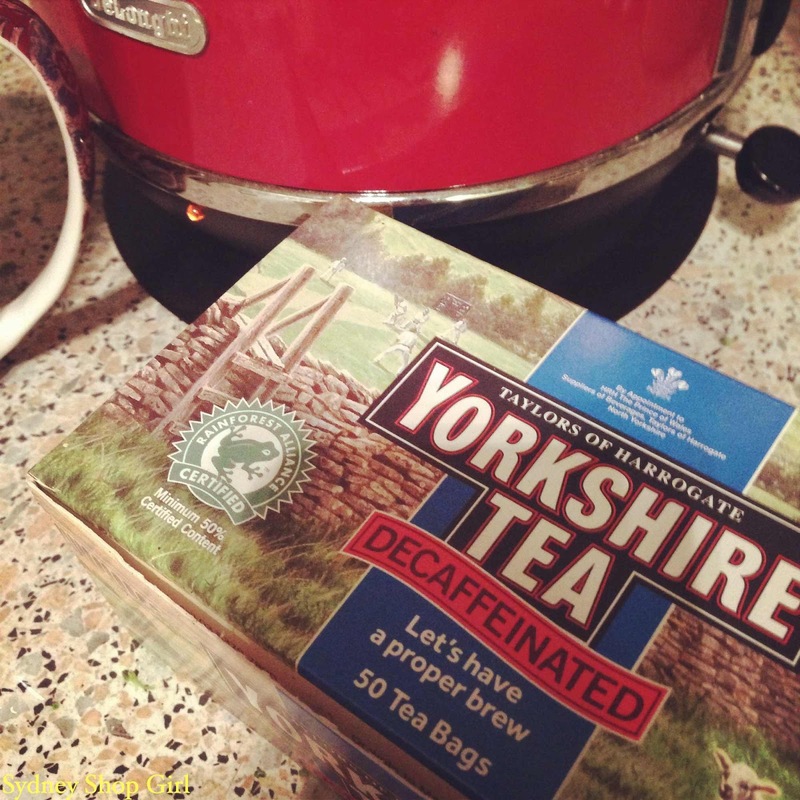 Then have a cup of a 'proper brew' of decaffeinated Yorkshire Tea. A box of 50 will set you back around $5 at the supermarket (twice the price of the full caffeine variety, go figure) but your sleeps will be so much easier to come by, it works out to be a wise investment. In my opinion, Yorkshire Tea is the best tasting decaffeinated tea at the supermarket these days. Sweater - Uniqlo, necklace - Lovisa. I'm going to finish off with some feedback on my Uniqlo heattech polo neck sweater. Very comfortable, warm and dressy enough for work. What's more, there wasn't a single crease in the top at the end of the day. Which is going to make next week's ironing a dream. And that's about it for today. Stay warm wherever you may be and here's to nights in with hearty dinners and ugg boots when the weather is as crazy as it is outside. Ironing related activities are vanishingly rare. Glad to hear you found a sleepy drink. I like the nestle hot chocolate sachets. I think i am resisting the urge to run to Uniglo now. Thanks for the tea tip SSG. Both the PG tips and Tetley decaf varieties are very blah. Run don't walk - 20% of Yorkshire Tea at Coles right now. Both standard and decaf.